VCU’s senior class will hope to become the fourth consecutive class to have played in an NCAA tournament all four years of their time at VCU. VCU will officially be halfway through the Atlantic 10 season following Wednesday’s home game against Richmond. The Rams currently sit as the 32nd-ranked team in the RPI and need to take care of business in the games they are supposed to win, while avoiding any letdowns like the one we saw at Fordham on Jan 18. Doing so could net the black and gold their seventh consecutive NCAA tournament appearance, Will Wade’s second since taking over as head coach. Below is a status check on where the Rams currently project in in several top bracketology sites. RPIforecast.com’s RPI wizard allows you to run W/L scenarios and their likely effect on RPI. So with that, I decided to go through the schedule assuming VCU does no better than expected, meaning I pretty much assumed they’d lose all games kenpom gave them a 60% or worse chance of winning (road games basically). I plugged in the following wins and losses based off a somewhat — but not insanely — pessimistic outlook. Then a predicted “not-as-planned” tournament rout of win over Bona in first matchup, loss to Dayton in following. That fairly pessimistic path resulted in a predicted RPI of 31 with a strength of schedule of 61. I next attempted it with a slightly different pessimistic A-10 tournament path of a win over La Salle followed by a loss to Richmond in the second game, a path which resulted in an RPI of 33 with an SOS of 68. My reasoning for taking this rout wasn’t to show little faith in VCU but to see where we likely end up if things don’t go as planned. Would a 31 or 33 RPI be enough to dance? Quite possibly. But what those paths do prove is just how much of a lock VCU may be if they can win the games they are supposed to while picking up an unsuspected W here or there. For example, if VCU wins the games I predicted while picking up a road win at ANY of Bona, Richmond or Rhode Island, they climb into the top-30, checking in at a predicted 28th in the RPI. The key however is holding serve at home, otherwise a dip into the low 30s becomes likely. Conclusion: If VCU can win their home games while simply stealing one game at either Bona, Richmond or Rhode Island, the Rams likely dance. VCU can even potentially hit top-30 status by grabbing one of those road wins WITH a loss at GW. Holding serve at home with a trip to this year’s A-10 tournament final (meaning two wins in Pittsburgh) likely does the trick as well. 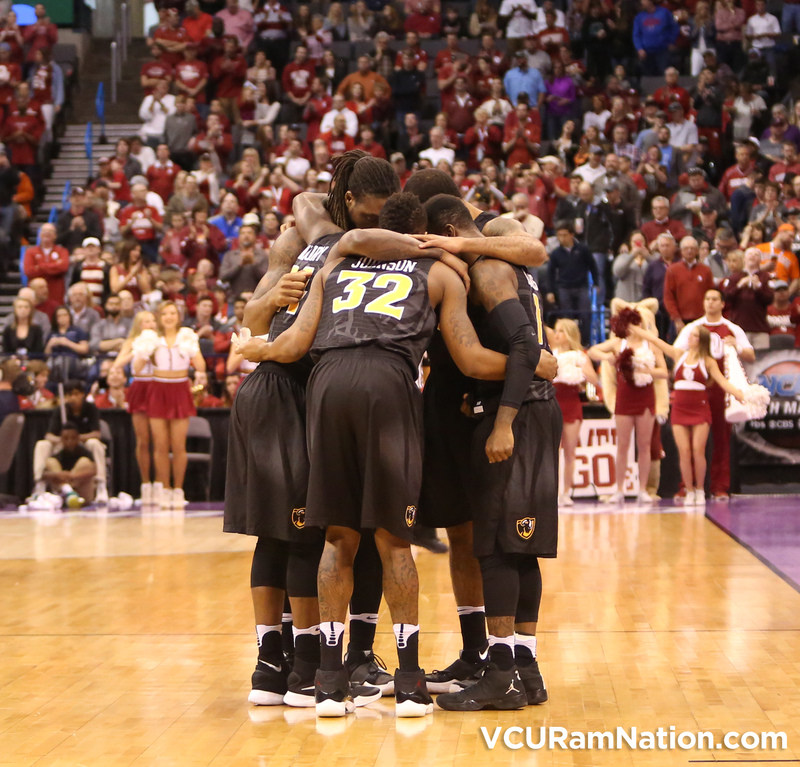 VCU’s home court can essentially decide the ultimate fate of this year’s Rams team. That means you, Ram Nation, will play a huge part in sending this year’s VCU team to yet another NCAA tournament. Are you up to the challenge? Making the trek to Richmond for Valentine’s. As an out of town alum from collesium and Sunbelt game days. I am READY for t time at Seigel Center! I am UP for the challenge!